Mumbai, Oct 1 (IANS) “Aksar 2” director Anant Mahadevan says he has kept actor Mohit Madaan as the surprise element in the forthcoming film. “I have kept Mohit as a surprise factor in this film. His character’s name is Bachchan Singh. Nobody can judge whether he is right or wrong. If we reveal it now, then you’ll not enjoy the film. But yes, he is going to give a very powerful performance,” Anant said in a statement. The movie is set to release on October 6. Actor Annu Kapoor says his forthcoming film “Muavza – Zameen Ka Paisa” can serve as a valuable lesson to the Gujjar community on whom it is based. 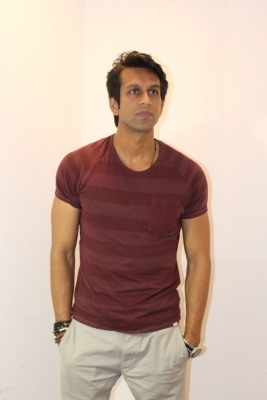 “I saw a lot of potential in the script of ‘Muavza – Zameen Ka Paisa’. I felt like if the team puts more effort in making the story line and screenplay stronger, it could be an interesting and entertaining film to make,” Annu said in a statement. “Bechu Bhai, the role that I play, is someone who is negative among a group of negative people. This is the story of those people who acquire a lot of money through governmental compensation for their lands for developmental purposes. These people misuse the power that comes along. The film could serve as a valuable lesson to the community (Gujjar community) on whom the film is based,” he added. Just because one has the luxuries and control, he says, it doesn’t mean “you have to choose the wrong path. At the end of the day, there could be men like Bechu Bhai who would manipulate these people for their personal benefits and destroy them in the process”.